Have you ever wondered what that 9 iron in your bag is for? It’s a club that has seen many pop culture metaphors written about it. But when’s the right time to use that 9 iron? The power of the 9 iron shows itself as a utility club. While it is true that if you are more than say, about 140 yard from the green, you are better suited at using a 7 or 8 iron, the 9 iron’s angle is its strong-point. 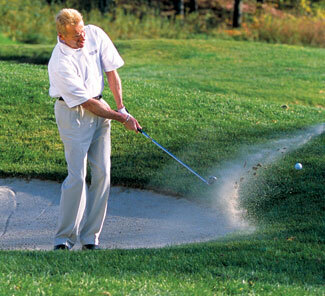 If you do not have a sand wedge in your bag, the 9 iron’s angle can help you get out of that bunker. As I said before, the 9 iron should be used at around inside 140 yards from the green. Anything further than that, you may want to consider the 7 or 8 iron for the distance they provide. If you are on a low par hole, you may also want to consider the use of your 9 iron. This will make sure you do no overshoot the green. The 9 iron is a club that you should learn to utilize in the proper situation. It should have a welcomed place in your bag. Thanks for telling about the use of 9 iron. Apparently it’s good for dealing with cheating spouses, as well.